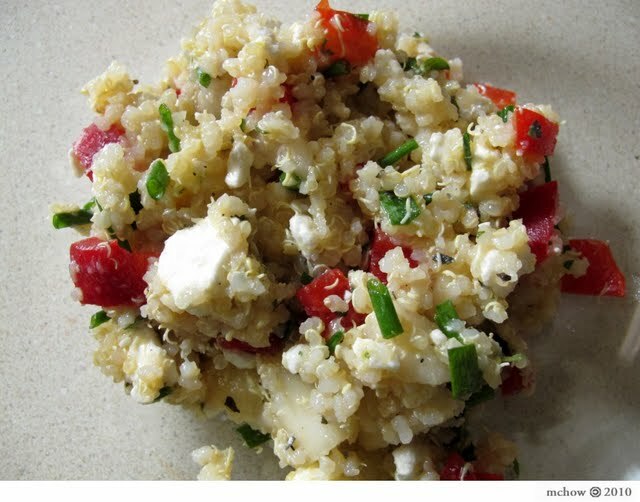 chow with chow: can you say quinoa? this versatile grain/seed is nutritious, deliciously nutty and an all-round good guy, like the a gay best friend... great sweet or savoury, hot or cold! no wonder the incas were such an innovative and advanced society for their time! smart food for smart people! (though eating smart food won't necessarily make dumbasses any smarter). here's a cooking tip: use a rice cooker to cook the quinoa, at a 2:1 water to quinoa ratio.